Nothing in life is more painful than the loss of a child. When such a tragedy is caused by an accident that could have been prevented, survivors’ grief is often combined with anger and a need for justice. Families may also be overwhelmed by medical bills and legal complications at a time when they should be left alone to mourn. Child wrongful-death attorney Jeffrey Killino is committed to handling your family’s case with compassion and respect. Contact our offices at 877-875-2927 to learn more about the services we offer. 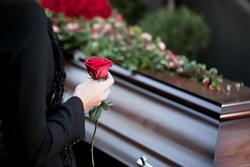 Medical and funeral expenses can overwhelm a family, especially if they were unexpected. You should not have to struggle to meet these costs when it was another person’s negligence that necessitated them. Bringing negligence to light can prevent future accidents. If your child was injured by a negligent educator, worker, or company, calling the public’s attention to the situation can make the world a little safer for everyone. Negligent parties may be forced to pay punitive damages, which are punishing damages assessed against a defendant in addition to those intended to compensate for actual losses. Though these damages cannot never compensate a family for the loss of a child, they are often the best way to bring a form of justice against reckless parties. Though the law governing wrongful death suits varies from state to state, a wrongful-death suit is generally described as an action brought by the survivors of a decedent to recover damages suffered by the survivors as a result of someone’s negligence, intentional act, or a defective product. A wrongful death action may be allowed, therefore, if someone has been murdered, suffered fatal injuries due to medical malpractice or other negligent actions or inactions of another, or suffered fatal injuries due to a defective product, regardless of negligence on the part of those responsible under product-liability law. Wrongful-death and survival actions are often confused, but are very different claims. A wrongful-death action, as stated above, is brought by the survivors of the decedent to recover damages suffered by the decedent’s survivors as a result of the decedent’s death. The damages in such actions go directly to the survivor-plaintiffs rather than to the decedent’s estate. Compensatory damages may include those for medical and funeral expenses paid by the survivors, pain and suffering endured by the survivors as a result of the death, and the financial support the survivors would have received from the decedent had he or she survived. Some states may also allow punitive (or punishing) damages if, for example, the death was intentionally caused. A survival action, on the other hand, is an action brought by the decedent’s survivors on the decedent’s behalf. A plaintiff may have survived for a period of time following an accident or other injury-causing event and may have already instituted a personal-injury action. If the plaintiff dies before the action has been completed, the suit may be transformed into a survival action, so that the personal-injury action begun by the decedent will be taken over by the decedent’s estate. The damages recovered in such actions will go directly to the decedent’s estate, rather than to the decedent’s survivors, and will be distributed according to the laws of intestate succession or the decedent’s will. Most states have Wrongful Death Statutes that govern the particulars of that state’s wrongful-death law. Since a wrongful-death action seeks to recover damages suffered by the decedent’s survivors, most Wrongful Death Statutes allow only close relatives to file such actions. All states allow immediate family members to recover damages for the wrongful death of a child. Thus, parents of minor children and, in some states, siblings and grandparents of children, may sue for the child’s wrongful death. Wrongful-death suits may be filed in most states against any individual or entity whose actions or inactions were a negligent or intentional cause of the death. They may also be filed against manufacturers of defective products, as well as others in the product’s chain of distribution, if the product’s defect was a cause of the decedent’s death. In some states, immunity from wrongful-death suits is granted to governmental entities and their employees, though many states have relinquished this sovereign-immunity right in exchange for a limit on the amount of damages that may be obtained. At this difficult time, your family deserves an experienced attorney who can support and guide you as a reliable partner. Childhood wrongful-death attorney Jeffrey Killino can go over your case and help you decide if filing a claim is the right choice for you and your family. For expert and compassionate assistance, contact attorneyKillino today, at 877-875-2927.